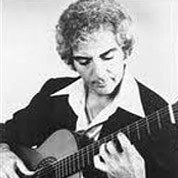 Jorge Morel is a classical guitarist and composer from Argentina. He is now living and working in New York City. Through his original compositions and arrangements, Jorge Morel has substantially added to the existing repertoire for classical guitar while consistently challenging traditional, technical, and stylistic limitations.